As I type this, I think of Ted Knight. His is a name perhaps unfamiliar to millennials, but one fondly remembered by the Baby Boomer and GenX generations. To the former, he was the goofy, cluelessly self-absorbed news anchor Ted Baxter on “The Mary Tyler Moore Show.” To the latter generation, he was known for his turns as the snobbish oaf Judge Smails in Caddyshack and, to a lesser degree, “Cosmic Cow” cartoonist Henry Rush on the show “Too Close For Comfort”. But to that (my) generation, he's best remembered (at least to me) as narrator for the first season of the Saturday morning cartoon “Super Friends”(1973), a "watered down" take on the Justice League. The reason it's remembered so fondly is because his delivery gave an iconic, reverential stature to material that had been dismissed as childish fare. To this author’s mind, no other production before or since has presented the characters of Superman, Batman, Wonder Woman, and Aquaman with such gravitas sans irony or parody. His introduction implied relevance to those characters, even if the episodes themselves were hokey (even by the standards of the day). His voice resonated as I sat down to watch Justice League (2017). The young fan in me longed to feel that same swell of anticipation of seeing these heroic figures brought to life as a team for the first time. Unfortunately, Justice League doesn’t quite live up to that aspiration. While it is a good film, it doesn't reach the potential to be great. 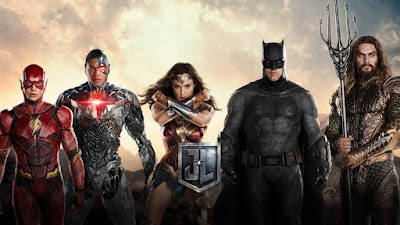 Following the events of Batman v. Superman, a newly inspired Bruce Wayne (Ben Affleck), with the help of Diana Prince (Gal Gadot) goes on a Seven Samurai/Magnificent Sevenesque quest to recruit Arthur Curry a/k/a the Broseidon…er, Aquaman (Jason Momoa); former athlete and now resident cyborg, Victor Stone (Ray Fisher); and brilliant but directionless speedster Barry Allen (Erza Miller) in order to face the god-like entity known as Steppenwolf (Ciaran Hinds) from collecting objects of power known as Mother Boxes which, when united, will bring about a literal apocalypse. Sounds like the makings of an epic. It certainly looks epic. As with most of these films, the CGI visuals are stunning to behold. But that’s as far as the epic sense goes. It should feel epic, and not solely due to the uniting of these characters. 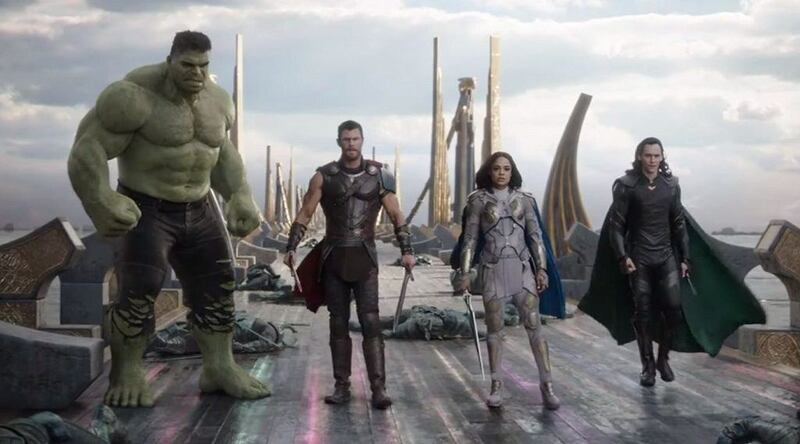 Themes of deconstruction, rebirth, and redemption, and the threat of the end of all that is are as replete here for each character as they were in the recently-released Thor: Ragnarok. But unlike that film, they’re not handled as deftly. Part of this stems from a disjointed story flow and narrative, an expected result when a production is as troubled as Justice League was. Zack Snyder is the credited director, but Joss Whedon was asked to step in mid-to-post production to complete the task when personal issues forced Snyder to abdicate his role (Whedon is given a screenwriter credit alongside Chris Terrio, belying the extent of his contributions)…and perhaps some not-so-personal issues as well. Speaking conjectureally, it is highly arguable that the poor critical reception of the dour entries Man of Steel and Batman v. Superman: Dawn of Justice, weighed against the critical and financial success of the more upbeat and inspiring Wonder Woman, plus the reported amount of re-shoots, contributed to the haphazard nature and tonal shift of the film. Put succinctly, it has "too many cooks in the kitchen". It's a patchwork film, with Cliffs Notes story beats replace fleshed-out story. Characters arrive at certain points only because of plot requirements as opposed to the story leading them there, requiring a complete leaps in logic in some cases (due to scenes being excised during editing is up for debate). A more egregious storytelling sin is that this film's plot requires a presumption of a priori knowledge. Hence, many events and conditions are either left unexplained or unknown unless you’re among the initiated (i.e. superhero/DC comic book fans). Anything to propel the story forward and fit in as much of its impressively named cast as possible. It doesn’t help that some of these moments coincide with scenes that exist solely to set up another DC movie. Cool! It’s Mera (Amber Heard) you would think…if you knew who she was from the comics. The movie doesn’t have the time to name her; its almost break-neck pace moving in such a way that it comes across as perfunctory, severely muting the depth that the film does contain. This lack of development extends to the film's "Big Bad". Despite the character’s portentous buildup in BvS, Hinds’ Steppenwolf is mighty in power but singular in dimension. He manages to present himself as a credible threat to the League in terms of power, but his one-note nature robs him of any sense of menace. Further, the CGI nature of the character is obvious enough to be distracting; an unfortunate condition that extends into the fight scenes with other characters. Speaking of the action scenes, they vary in terms of quality. Some of the scenes are wonderfully rendered, while others either show their CGI weakness, and a few are less thrilling than they should be. Perhaps the lack of definition of the actual threat bleeds into the stakes of each encounter. The audience doesn't really get what's at stake...unless, again, you're "in the know." As aforesaid, Justice League represents a tonal shift from the more grim and gritty nature of the films that preceded it. It's peppered with moments designed to effect a more uplifting resonance, such as incorporating elements that, depending on one's outlook, can be either inspired influence or blatant rip-offs; a smattering of Tolkein here, a sprinkling of Mary Shelly there...oh, didn't I see this in Avengers: Age of Ultron…beats so recognizable that they threaten to take one out of the story. Even the score reflects this change in mood. A welcomed respite from the previous films cacophonous scorings, Danny Elfman’s orchestrations not only teeters into Ultron territory (unsurprising, given that he co-scored that film), but peppers his more lyrical music with acoustically motifs inspired from other adventurous, heroic scores of the past (close your eyes and you can hear a snippet from Jerry Goldsmith’s The Shadow here or the rousing chords from John Debney’s Cutthroat Island there). But most distinctly, Elfman incorporates themes from the Big Three’s cinematic past, including his own Batman contribution, Zimmer/Junkie XL’s theme for the Amazing Amazon, and one of John Williams’ most recognizable pieces. The cynic would say that this is acoustical emotional pandering to associate past triumphs with this film to bolster it. The critic, found it a joy to experience them in a multiplex again. The cynic would decry this as a film created by committee to distance itself from its past darker turn in order to maximize revenue. This only makes sense since any major studio release is a financial venture looking to maximize its initial investment. Unfortunately, it is blatant in its design. Conversely, it’s this welcomed change in tonality that the Warner/DC brand of films need. Indeed, this new, relatively light-hearted tonality is personified in the characters. For example, in the changed perceptions of The Batman, whose outlook has changed after witnessing Superman's (Henry Cavill, whose character's presence is felt throughout and colors the events of the film) sacrifice in BvS, and Diana (whose origin undergoes a slight retcon from her eponymous film) struggles with her own loss. They are emblematic of the film's biggest strength: it’s exploration of the interpersonal dynamics of the newly-minted League. This drives the film as much as seeing them use their abilities in unison. The break out character is easily Miller’s Allen; his fish-out-of-water personality endearingly provides much of the film’s organic humor. That aquatic description may seem more apt to another Leaguer, but Jason Momoa is very much at home in his character’s radically-changed-from-source-material skin. If this is his and the filmmaker’s attempt to put lame Aquaman jokes to rest, they’ve succeeded in spades. His charmingly macho-yet-sensitive surfer bro take of the character adds a wrinkle that plays well off against the other characters…enough to overshadow Affleck’s Batman. Nevertheless, both Batman and Wonder Woman continue their own arcs from their previous films, leading to some very satisfying results. Arguably, the least compelling character is Ray Fisher's Stone, but that is solely in comparison to that of his co-stars. His is a strong performance; one that pays off in a very satisfying moment for his character's fans. There are too many names to mention, but special note go to both Amy Adams and Diane Lane, returning as Lois Lane and Martha Kent, respectively, whose shared emotional arc grounds the film in poignant humanity. To say more would be to reveal more (especially given one aspect that's practically an open secret). But, suffice it to say, the actors are clearly having a blast in their roles. They have a chemistry unique to themselves that keep them from becoming a carbon copy of The Avengers. They make their characters come to life, and the bond they present evokes the sense of family that the best Justice League comic book and animated shows excelled at. Justice League, for all its flaws, is a good, entertaining film that had the potential to be so much more. It’s disjointed nature and narrative hiccups mar what could have been a great adventure; one that should have merited uniting these "super friends" on screen in live action. However, its the charm in the performances of its central cast that save it from being merely serviceable...and it's just way too cool to see them on the big screen. Pay close attention to the opening scene of the film to get a sense of what the film was going for and, to a certain degree, succeeds in. At the very least, these are characters are deserving of a Ted Knight intro. *P.S. Kudos go to a certain actor and character; the latter of which hasn't been that bright, inspirational, and badass in quite some time. ** Superman created by Jerry Siegel and Joe Shuster. Batman created by Bob Kane and Bill Finger. Wonder Woman created by William Moulton Martson. Aquaman created by Paul Norris and Mort Weisinger. The Flash created by Carmine Infantino, Robert Kanigher, and John Broome. Cyborg created by Marv Wolfman and George Perez. Steppenwolf, Mother Box, Darkseid, parademons and The Fourth World created by Jack "The King" Kirby. Justice League created by Gardner Fox. Ask an average movie goer what their top five Marvel Studios films are, and chances are the Thor series of films wouldn't be anywhere near that list. It’s reasonably safe to say that if it weren't for The Incredible Hulk (2008), either Thor (2011) or Thor: The Dark World (2013) would fall at the bottom. While both films were commercially successful, they ran the spectrum critically. Even the Honest Trailers crew succinctly summed up what most people were probably thinking: "Prepare for a film that only exists so non-nerds will recognize the blonde guy in The Avengers." The truth is that Marvel's Thor, both as character and cinematic concept, gets a bad rap. If they carried any fault, it's that they're too “lofty”, suffering from the so-called "Superman curse" in that he's too powerful and otherworldly to be even remotely relateable…this despite the fact that, embarked on a character journey from a narcissistic (albeit charming) Nordic frat boy to the hero he is. Yet audience reception was not as kind to him as it was to, say, Chris Evans' interpretation of Captain America. The argument against the Thor series was that it was some was too "dry". Except these films have had one not-so-secret weapon in their arsenal. A weapon that have carried both these films yet still remained untapped of their full potential...one that the recent otherwise ill-fated Ghostbusters reboot recognized and exploited to the fullest; making it the highlight of an otherwise derided film. That weapon is Chris Hemsworth. In films like the aforementioned Ghostbusters and the Vacation reboot, Chris Hemsworth has shown he's more than just a pretty face; he's got comedic chops to spare. Director Taika Waititi and screenwriters Eric Pearson, Craig Kyle, and Christopher Yost understand that and utilize this resource, and creating one of, if not the, best Marvel Studio films. The film throws out the proverbial baby and bath water by jettisoning the majority of Thor's previous supporting cast to focus on Thor's own journey. Thor (Hemsworth) has been seeking the Infinity Stones to no avail. Upon his return to Asgard and discovery of Loki's (Tom Hiddleston) deception from the end of The Dark World, he embarks on a search for Odin which puts him at odds against the evil Asgardian Goddess of Death, Hela (Cate Blanchett). The ensuing battle leads to both the loss of his fabled Mjolnir and strands him on the battle planet Sakaar, captured by the warrior Valkyrie (Tessa Thompson) who, in turn, sells him to a being known only as The Grandmaster (Jeff Goldblum) and is forced to face off against his one-time teammate, The Incredible Hulk (Mark Ruffalo, playing the green giant in both motion capture and voice for the first time). Thor must free himself to save Asgard from Hela's evil lest Ragnarok finally consume it. That description doesn't even begin to describe the controlled madness that Waititi presents on screen. The film as a whole is not only a love letter to Thor co-creator Jack “The King” Kirby (in more than just visuals come to life), and fellow Marvel artists Walt Simonson and John Bescuma, but also to Frank Frazetta, Boris Valejro, and whole 1970's/1980's fantasy aesthetic; one that is bolstered by the sublime score as provided by Devo co-founder Mark Mothersbaugh. The film is a sight to behold, one that fully embraces its source material in a way that few films of this type do, yet manages to stay grounded in humanity. As a title, "Ragnarok" completely fits contextually for all its protagonists are beaten and stripped down both figuratively and literally. Given that Thor is arguably the “least popular Avenger”, Waititi is allowed to take more risks with the characters. Thor is “shorn” in more ways than one. Normally, such a deconstructive approach would be a cause for the type of sturm und drang the films of Marvel's "Distinguished Competition" are mostly known for. However, the director manages to strike a very satisfying balance between pathos and humor. This film doesn't eschew “fun”, but fully embraces it. It’s sense of wonder and humor evolves organically from the story, yet this is no Guardians of the Galaxy riff. Ragnarok has its own distinctive voice, created in chorus by a cast of actors looking like they’re having the best time of their careers. Devoid of supporting players specifically designed to humanize his character, Hemsworth finally is allowed to shoulder the burden of carrying the film…if a burden it was. This is the most relaxed and at home Hemsworth has ever been as Thor; his natural charm and comedic timing come out effortlessly, but still manages to carry the weight of his character's heroic arc. It's easily his best performance as the character. Tom Hiddleston’s “Loki” is as mischievous and rakish as ever, but he undergoes his own character arc that sees highs and lows and engenders not a small amount of poignancy. As does Sir Anthony Hopkins as “Odin”, who manages to provide the most startling yet affecting character arc in the little screen time afforded him. Given that the story is heavily adapted from Marvel's "Planet Hulk" comic book storyline, it's a no-brainer that The Hulk would feature...and almost single-handedly steals the film. Ruffalo's Hulk has evolved despite still being very much an "Id" creature. He has his own deconstructive character arc; one that will presumably pay off in the forthcoming Avengers films. He is by turns frightening and petulant, yet altogether entertaining. Thompson's "Valkyrie" provides an antagonistic foil for the Thunder God, a departure from the star-crossed lovers conceit provided by Jane Foster (whose absence is explained in clever yet perfunctory manner), which provides a spark that was lacking. Jeff Goldblum...is Jeff Goldblum (Go with it. Here, it's a very good thing). Waititi appears (in motion capture) as “Korg” a gladiator fearsome of presence but benign in demeanor who provides his own moments of comic relief. As "Skurge the Executioner", Karl Urban manages to be both vile and sympathetic all at once. Idris Elba wanted a more prominent role as “Heimdall” after his limited action in The Dark World, and here he got his wish and he looks like he’s having a ball. But special mention must go to Cate Blanchett as "Hela". Hers is a very measured performance. With all the freedom of expression afforded to the other characters, Blanchett knows that her performance must be dialed down. Not an easy trick when the character is supposed to be menacing and nigh-unstoppable. It's not to say she doesn't have her own moments of mirth, for she does. She avoids going over the top lest her character delve into parody. Hers is easily the best villains of the Thor films, and on par with the best the Marvel films has offered thus far. The smattering of cameos, both in character and celebrity, don't hurt either. 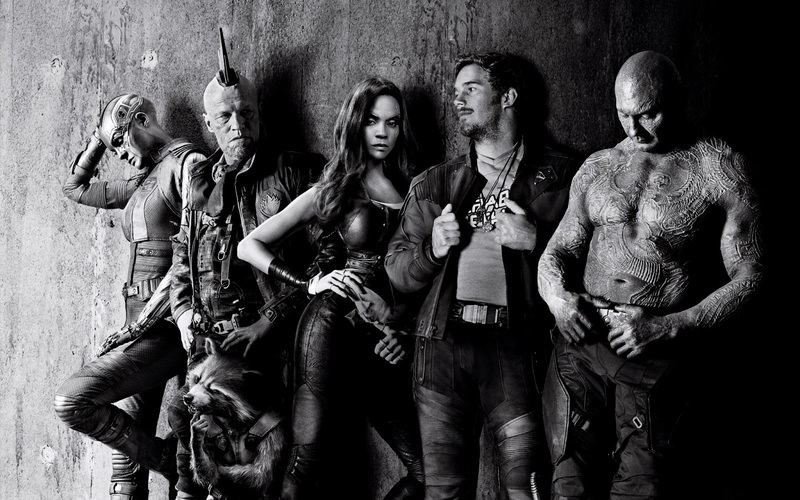 Some of Marvel Studio's critics have cried foul on their "cookie cutter" approach film making. However, Ragnarok cannot be accused of that, for all the flash and humor, there is a substantive heart. Pay close attention and you realize that its infused with a mythic hero's journey; one entailing loss, sacrifice, remorse, and redemption. It also discards considerations of "status quo", instead adopting an"anything goes" aesthetic that reaches far beyond the visuals, infused within the story itself. The Planet of the Apes franchise is one of Hollywood’s longest and most enduring film properties. Yet, at one time or another it also became one of the most dismissive; especially after Tim Burton’s poorly received Apes remake, which almost served as proof that there was no life left in the concept. It was a pleasant surprise that Rupert Wyatt’s Rise of the Planet of the Apes (2011) was not only well constructed, but acclaimed both critically and popularly. A change in director was perhaps one of many factors that made its follow up, Dawn of the Planet of the Apes (2014) better than the original, building a narrative crescendo that peaks to a spectacular climax in War for the Planet of the Apes. In this third outing, taking place two years after the events of Dawn, Ceasar (Andy Sirkis) still leads his band of apes, ever vigilant against humanity’s desire for their extinction. He’s content to keep his people hidden within the confines of their jungle environment, until the military zealot Colonel McCullough (Woody Harrelson) strikes him a devastating blow. With the accepted-reluctantly aid provided by Maurice (Karin Konoval), Rocket (Terry Notary), and Luca (Michael Adamthwaite) which leads Caesar on a quest to end McCullough and this war once and for all. One of the brilliant aspects of this series is the creation of an entire mythology through the telling of a singular, personal narrative; specifically, through the life journey of Caesar (Andy Sirkis) from his humble beginnings through his personal conflicts. When taken as a whole, his cinematic journey parallels that of the biblical figure Moses, cast out and taken in by a different people, raised as one of them, only to be cruelly reminded that he is radically different, and finds himself leading his people out of captivity and slavery, searching for a promised land to call their own. It’s this (not so) subtle parallelism that gives the proceedings a greater dramatic weight than even the original 1970s films ever contained (when they were simply dismissed as atomic age allegory). But these parallels aren’t the only things that elevate this film series. Military and (arguably) jingoistic/religious zealotry, coupled with the desire to exterminate an entire race for the sins of a few are sadly relevant today. This makes for a nagging uncomfortable feeling, since the film’s perspective skews decidedly in favor of the apes, whose oppressive victimization is escalated here. Unlike the previous two films, the humans here, epitomized in Harrelson’s surprising and effective turn as the unhinged McCullough, are almost completely unsympathetic. While there is an argument to be made for McCullough’s point of view, it is vaguely defensible at best. The film presents two points of view, and the tragedy that exists and persists when intransigent viewpoints hold. It argues that intransigency lays the foundation to the Apocalypse, and it is a metatextually resonant message. While it’s difficult to determine with certainty whether there is an intentional political agenda behind this film, there is no argument that this is not only the best film in the series, but a powerful, engaging film in its own right. Matt Reeves, returning as director for the second time, proves his mastery at mood. The action sequences, while impressive, take a back seat to moments. The pacing is that of a thriller (psychological or horror, take your pick), replete silent, maddening tension, ready to explode at a moment’s notice, leaving the viewer anticipating and dreading when it comes, if ever. Michael Giacchino’s score, much like Bernard Hermann, uses his orchestrations to ratchet the moments, and it’s one of the few times his scoring comprises of recognizable, distinct motifs. They stand out on their own and stay with you even as they build the mood of their specific themes. Never would one have thought that an Apes movie would be stylistically considered Hitchockian. Stranger things have happened. But for all of its possible lofty intentions, the strength of this film likes in its characterization. Frankly, these films in general, and this one in particular, would be nothing without Andy Serkis. His evolution of the Caesar character is this series’ hallmark, giving depth and poignancy to what could have been dismissed as a CGI gimmick. Here, his Ceasar is tired and world weary; yet also resolutely vengeful as he ventures away from his flock to exact personal retribution. His journey is tumultuously emotional even as it is physical, yet filed with dignity and resoluteness. It’s a powerful performance by Serkis. Supporting players Konoval, Notary, and Adamthwaite bolster Serkis’ performance while keeping their own characters dramatically arresting in and of themselves. Newcomer Amiah Miller is precocious as the mute girl the quartet encounter in their journey, and special mention goes to Steve Zahn as “Bad Ape”, a chimp whose ability to speak rivals Caesar’s own proficiency and provides MUCH needed comic relief to this film. But no matter how powerful the performances are, they would have been disserviced if the special effects weren’t top notch. The CGI has advanced to the point that the apes are as natural as anything seen on screen, melding seamlessly with not only their surroundings, but the human playing actors as well. The viewer has no choice but to buy into it. War of the Planet of the Apes serves as a fitting end to a trilogy, as well as a foundation for future films. It is a powerful and arguably far-too-resonant piece of artistic filmmaking, allegorical not only to the myths of the past but to the possible dangers of the future. What could have once been dismissed as campy escapist absurdism has instead transformed into Shakespearian apologue; a cautionary tale which shines a subversively disturbing, unapologetic light upon humanity, quixotically doing so entertainingly. It's a film to go ape for. 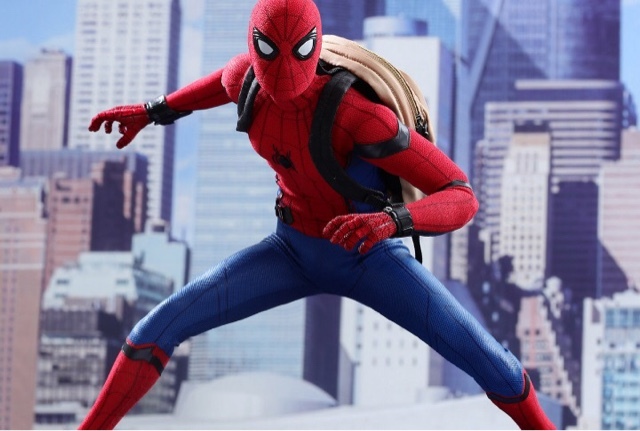 Spider-Man: Homecoming, directed by Jon Watts (sharing screenwriting credit with five other screenwriters) and starring Tom Holland, Michael Keaton, Robert Downey, Jr., Jon Favreau, Jennifer Connelly, and Marisa Tomei, is the latest hard reboot in the Spider-Man cinematic franchise, and the first to be done under the Marvel Studios umbrella. It is also, without equivocation, the most enjoyable of those films, even as it strays the furthest from its source material. As a title, Homecoming has its tongue firmly planted in cheek; an acknowledgement of the character's returning to the "Marvel fold", so to speak. However, it serves as an evocative declaration that this is a different sort of Spider-Man film, and indeed it is. Following the events of last year's Captain America: Civil War, fifteen-year-old high school student Peter Parker (Holland) is chomping at the bit for another mission with The Avengers. Hoping to be called to action by Tony Stark (Downey Jr.), he instead finds himself being "nursemaided" by a reluctant, none-too-happy Happy Hogan (Favreau) and being told to keep his feet on the proverbial ground. When Parker stumbles upon a series of tech crimes being perpetrated by a gang led by Adrian Toomes (Keaton) and finds that the adults brush him off, its up to Spider-Man to try to save the day, while he attends high school, suffers indignities at the hands of bully Flash Thompson (Tony Revolori), try to approach his crush Liz (Laura Harrier), and avoid detention. From the time the fanfare ushers the film's start, it practically proclaims an entertaining experience to come. For example, instead of retreading on well-mined material (i.e., the actual origin, Uncle Ben), the story proceeds as if the audience is already familiar with those events. This alone would be refreshing even if it weren't so cleverly presented. The opening montage post-Marvel logo effectively recaps this Spidey's cinematic introduction from a different perspective while effectively establishing the tone, relationships, and conflicts going forward. Much like the opening shot of Robert Zemekis' Back To The Future (1985), it provides a subconscious shorthand that sets one up for what comes next. It's an impressive promise regarding storytelling, one that Watts and co. deliver on the entirety of the film's runtime. As Marvel Studios expands its cinematic catalogue, there seems to be concerted effort to make each film and character unique in its own sub-world. In this case, Homecoming can be described as super-heroics by way of director John Hughes (indeed, director Watts has publicly stated this was the aesthetic he was going for). First and foremost, it's a coming of age story. It's about a teenager who's struggling with his own adolescence (who just happens to have arachnid abilities), and Watts presents the conflicts in Parker's normal life with as much weight as those inherent in his heroic identity. As such, don't expect the creepy stalker/self-assured possession of Tobey Maguire or the spastic twitching of Andrew Garfield. Here, Holland comes closest to his comic book counterpart's personality, his performance recognizing that Spider-Man's classic devil-may-care banter and bearing, mask Parker's adolescent insecurity. It would not be hyperbole to say that Holland's interpretation is a revelation except for the fact that he makes it seem so damn natural. There's not much suspension of disbelief required to believe he's a high school kid (even if he was 20 years old at the time principal photography concluded). He and his fellow classmates (with special kudos to Jacob Batalon as Peter's BFF/"chair man" Ned, and Zendaya as the snarkily-observant Michelle) are effectively convincing as high schoolers. But it's Holland who truly carries the weight of this film on his shoulders and, unlike the character he plays to a certain degree, he carries that weight effortlessly. It's not just a coming of age story for Peter Parker. Surprisingly, given the considerable lack of screen time, this also works as one for the once and future Iron Man. The evolution of Stark's character over the course of a decade has seen him transform from an irresponsible man child to a mentor who "sounds like his father". Downey, Jr. plays up that undesired and uncomfortable change within the character in a satisfying turn. It's a change of perspective (one hinted at in Civil War), and inversion of character, that Watts exploits to great effect. Marisa Tomei's Aunt May is no dowager, but a thoroughly modern woman of certain charm, serving as basis for a film-long running gag. But no hero can become one without a challenging villain. One of the main criticisms against the Marvel Cinematic Universe is the cookie-cutter, non-menacing nature of its villains (including Daniel Bruel's Helmut Zemo, though he was by far the most successful of them). That streak ends here with Michael Keaton, who takes arguably one of the lamest of Spider-Man's foes and makes him the most relatable, yet most effectively menacing and dangerous villains to date. His presence from his opening shot onwards elevates the film to a whole other level. His casting would bring about the requisite "from Batman, to Birdman, to Vulture" jokes, but his performance here is no laughing matter. His Vulture is a mixture of Carter Hayes' madness with Daryl Poynter's angst, Bruce Wayne's drive and Beetlejuice's mania. Yet for all that, it's a rare instance of understanding the motivations of the monster within, empathizing with him, yet still be in fear and awe of what he is capable of. Yet this role also proves how much he has developed as an actor, and how he has mastered the art of subtlety. One scene in particular stands out. Its a quiet one on the surface, but so full of subtext and nuance, it seems to belong more in a suspense thriller than a fantasy actioner. And yet his performance balances out Holland's with a wonderful give-and-take between actors that stands above the scenes that pre-and-proceed it. Rare on this blog are the words tour de force utilized, but this is one performance that merits the honorific. Keaton is nothing short of magnificent. Another complaint levied against this film from its inception is how far it strays from the source material. Given the behind-the-scenes back and forth regarding studio rights of the character, this is to be expected. For example, a justifiable argument is that having Spider-Man's suit be comprised of Stark tech minimizes the Peter Parker character's genius. Watts and the screenwriters both acknowledge and invalidate said argument organically in story. In other words, the trick is in the presentation...and this presentation separates it from its predecessors by inverting those films' formula: less angst, more fun. This film is FUN, plain and simple. So much so, that it stands apart from the other Marvel Studios' films even as this film firmly entrenches the character in it. A viewer would be cynically jaded not to be caught up in Holland's enthusiasm as the character. The stunts and the CGI are flying on all cylinders, and the humor is organic and unforced (including an unexpected cameo used to comedic effect). Easter eggs for the initiated abound. Michael Giacchino's score is evocatively rousing as it pays a pleasing homage to the past. 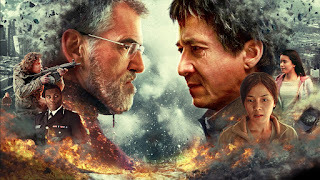 The story contains no filler, moving at a pace which keeps the character moments as engaging as the action sequences, and the requisite "Chekov's Gun" is present, though among the most subtly presented in these series of films; so much so that it's a genuine surprise to those not looking for it. Spider-Man: Homecoming is an amazing film presented in spectacular fashion. Easily the best of the Marvel tales presented in the last few years, and, though this reviewer finds it slightly irksome that each stand-alone film is turning into a Marvel team-up, Homecoming is a stand-out film in its own right. Though it strays the most from the source material, with apologies (and thanks for setting the template) to Sam Raimi and Mark Webb, it's the best of Web-Head's cinematic adventures to date. It entertains from first frame to last. Instead of groaning "another one", you'll demand "when's the next one". 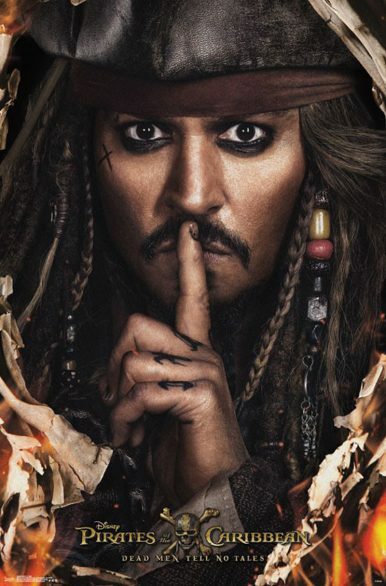 I was speaking to a friend the other day around the time Pirates of the Caribbean: Dead Men Tell No Tales was released, when I mentioned that film was next on my review slate, said person stated the question that invariably pops up anytime the next entry in a line of sequels come out: "Ugh, do we really need another one?" One may as well ask: Do we really need any film? Or any work of art? Films on their own are not necessary on a practical level, so they don't qualify as a "need" or "necessity". The industry, let 's not forget, was predicated by, and built for entertainment. It's ability to instruct and inform can be argued to be completely ancillary; a side effect, as opposed to it's raison d'etre. But for many others, some films do "need" to exist for a particular viewer or set of viewers. Some of those cinematic franchises touch people in ways others do not. Your milage as to their value may vary. However, there are some films that, despite the perceived onset of franchise fatigue, do need to be made. Despicable Me 3 is one of those. You might think I've taken leave of my senses, and you're probably right. After being fired from the Anti-Villain League for failing yet again to capture the 80's obsessed villain Balthazar Bratt (Trey Parker, South Park), Gru (Steve Carrell) suffers an identity crisis funk until he is approached by the long lost brother he never knew, Dru (Carrell again, pulling double duty) and offered an opportunity to return to his villainous ways, even as Lucy (Kristen Wigg) suffers an identity crisis of her own, from both being unemployed and not knowing if she could ever act as mother to Margo (Miranda Cosgrove), Edith (Dana Gaier), and Agnes (newcomer to the series Nev Scharrel). All this compounded by a Minion Mutiny, led by Minion Mel (Pierre Coffin). It would be difficult to keep things fresh in a three film series (four, if you count The Minions), but at least directors Peter Coffin, Kyle Balda, and Eric Guillon do their best, even if the results is mixed. 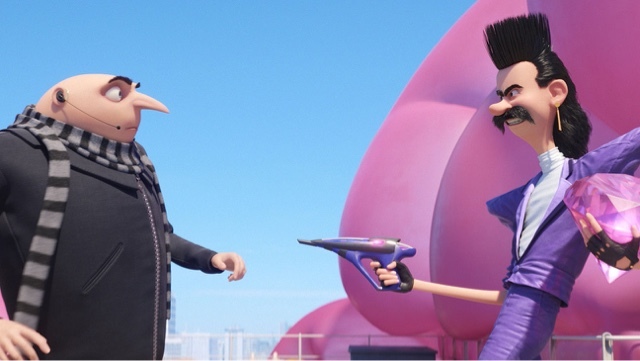 The compare and contrast between Gru and Dru, for example, is an interesting take, evoking Mad's "Spy v. Spy" aesthetic without aping their characterizations, with their relationship serving to show Gru in a different light. The push and pull between Lucy and the girls aren't given the type of conflict one would expect, and this is also a good thing, even as it feels like the undermining of story potential. Trey Parker's "Bratt" lives up to his name and, while it's not a vocal performance that could be deemed revelatory, he services his character well, even if annoying vocal call backs to Randy Marsh pop up now and then. The musical choices of Heitor Pereira and Pharrell Williams are interesting and, in a couple of cases, inspired, enhancing the zany shenanigans. As always, the animation is top notch, with the characters, their actions, and movements exaggerated for great effect. In this film more than most, the story, such as it is, follows suit. What I mean to say is that the story is not as structured as the previous entries, and thus more random gonzo "squirrel" moments take place. Needless to say, the Minions' antics remain highly amusing, but the directors have learned that "less is more", and credit them to find a way to minimize their involvement that fits within the narrative. The humor is hit and miss, but much more the former than the latter this time around. Given the above, it does seem like there's very little that makes this film stand out from the current staple of summer '17 films. Of course, that's me speaking as an adult critic...one that takes into account the audience he sat with. The target audience were enraptured, completely caught up in the film, laughing where they should, feeling apprehensive when the film called for same, and cheering at the climax. Manipulative? Absolutely. Name one of the competition's animated staple that isn't. The point here is that in a world that seems more bleak and uncertain than ever, and one that is reflected more so in entertainment, a film that allows itself to be silly and corny while reveling in same is one that is "needed" more than ever. Despicable Me 3 is escapist, silly fun. Thert's no pork about that. It’s rare when a film merits effusive praise. It’s even rarer when the film is part of a studio franchise wherein the reception of the previous entries was decidedly mixed. However, Wonder Woman, the latest in Warner Bros.' line of live-action DC Entertainment films, deserves the accolades it earns. It breaks the mold by being (relatively) faithful to the character and her world, delivering a cohesive, entertaining tale featuring a charismatic lead. What sets this film apart from its predecessors, beginning with 2013’s Man of Steel? Coherency of plot and motivation, for one. The plot is straightforward: On the island of Themyscira lives an Amazonian race, led by the regal Queen Hippolyta (Connie Nielsen), whose purpose is to safeguard the world from the machinations of the war god Ares. After a millennium, Princess Diana (Gal Gadot), daughter of Hippolyta, witnesses and rescues Captain Steve Trevor (Chris Pine) from a WWI fighter plane crash. Coming to realize that Ares has taken a foothold in “the world of men”, she leaves the island to fulfill the Amazons’ purpose, unaware the trials, truths, and crisis of faith that await her. Working from a screenplay by Allen Heinberg (with story assist by Zack Snyder and Jason Fuchs, based on characters created by William Moulton Marston), Director Patty Jenkins does not obfuscate the narrative with unnecessary parallels or tacked-on “C” plots. Any developments flow organically without distracting tangents. She gets both the character and her world, and subtly adds continuity to Diana's "future" appearance in Batman v. Superman: Dawn of Justice (2016), highlighting her attention to detail. Oh, the film does bear Snyder’s signature visual hallmarks…the Raphaelesque paintings come to life, the slow motion action sequences…but, in comparison with the previous Snyder-directed DC films, here they are used judiciously; just enough to enhance the story without existing for its own sake. Jenkins understands that visuals and action set pieces are all well and good, but they’re rendered meaningless without grounding humanity, and that’s what both Gal Gadot and Chris Pine provide in spades. Here, Gadot conveys the nascent-Wonder Woman’s naivete beguilingly without compromising her conviction, evincing vulnerability within her (relative) invulnerability; a contradiction perhaps, but even this shows that Jenkins directs with a complete grasp of the character, as Wonder Woman as always been a conundrum: Warrior as emissary of peace. Godot’s charisma carries the film, and her having served in the Israeli army adds credibility to her action sequences. Her Diana is poised, measured, and assured. While she could arguably carry this film on her own, her impact is heightened immensely by Chris Pine, who gives Trevor a three-dimensionality his comic counterpart arguably lacked (and managing to be subtle enough to separate his Trevor from another captain Pine is famous for playing). He’s a competent soldier with a vulnerability that does not undermine his masculinity. Given the nature of his role, it’s expected that he would provide comic relief. However, those comedic bits evolve naturally from the story without compromising the character’s integrity. To say more about his character’s impact would give away much of the plot. Needless to say, the chemistry between he and Godot feels more honest and real than in most films of this sort. Like the best of relationships, they balance each other out, and the story allows them to explore the polar aspects of femininity and masculinity without sacrificing either aspect in each other. Simply put, the two of them, and their shared hero's journey, form the heart of the entire enterprise. Their emotional beats and climaxes resonate and ground the film. The supporting players are top notch, clearly having fun with the material even as they imbue it with a gravitas that grounds the more fantastical elements. Said Taghmaoui (“Sameer”), Ewen Bremner (“Charlie”), and Eugene Brave Rock (“The Chief”) as Diana’s commando team all provide back up in performance as well as character, with Said being the standout of the three. Connie Nielsen’s regal Hippolyta is by turns imperious and vulnerable, concerned over her daughter’s fate. David Thewlis is one of those reliable actors who never gives a bad performance, and his turn as Sir Patrick is no exception. Unfortunately, the same cannot be said of Danny Huston as Commander Ludendorff. Huston is a more nuanced actor than the material provides. It can be argued that in his case nuance must be sacrificed to the plot. Nevertheless, his performance comes off as clunky and uneven. 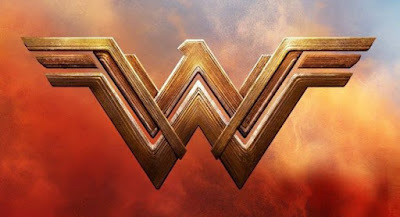 The special effects are top notch, save for a few hiccups (especially in relation to Diana’s Lasso of Truth), and there are some minor plot inconsistencies, but nothing so outstanding that would lessen any enjoyment derived from the film. Jenkins’ direction is deftly assured, with a brisk pacing that engages and makes its two hour, twenty minute run time seem less than. Other nice touches are the subtle callbacks to not only Wonder Woman’s television history (evident in the very first shot of Diana), but also of a seminal superhero film which came out around the same time (of which one scene in this film blatantly, lovingly homages). In other words, the film’s heart extends beyond that of the leads’ performances. Rupert Gregson-Williams’ channels his inner David Arkenstone for a score that is lush and energetic while managing to elevate Hans Zimmer/Tom Holkenberg’s "Wonder Woman" theme, its acoustics more lyrical and balletic than the cacophony of sound the other DC Extended Universe scores are known for. Wonder Woman is not just a triumph as a superhero film, but as a film, period. It is by turns fun and dramatic, full of pathos and hope. Gal Gadot fulfills the promise only hinted at by her woefully short stint in BvS, and the film thoroughly entertains from beginning to end. It’s a film that belies the anti-female heroic lead rhetoric even as it transcends the argument. Hopefully, this heralds a newfound appreciation for quality in Warner Bros. superhero films going forward. A film version of this character has been long overdue, but the final product shows that it was well worth the wait. To crib from the earlier live-action incarnation…you’re a wonder, Wonder Woman. REMIXED: "Guardians of the Galaxy: Vol 2" Succeeds Despite A Looming Shadow. Sometimes, the best expectation is no expectation. Remember when Marvel Studios first announced their intention to produce a film based on an obscure Marvel comic called "Guardians of the Galaxy"? A collective head scratch ensued. To the uninitiated, the question was "who are the Guardians of the Galaxy". To those familiar with comics, the question was "why the Guardians of the Galaxy". There were concerns that Marvel was about to make its first tactical error in the planning of what had become a box-office juggernaut of successful films. Expectations ranged from low to 'nil...until the film was finally released. No one expected how much fun, and ultimately how successful, Guardians of the Galaxy (2014) ultimately became (including this reviewer). It was so crowd-pleasingly good, that it set the bar high for its inevitable sequel. Guardians of the Galaxy: Vol 2., as good as it is, falls short of it. (At this point, I should caveat in interests of fairness that this author went into this film with those same aforementioned expectations, so some of these points may not be as salient as they would be in a completely unbiased review. Regardless, they are as they are). Some time after the events of the first film, the Guardians, consisting of Peter Quill/Star Lord (Chris Pratt), Gamora (Zoe Saldana), Drax the Destroyer (Dave Batista), Rocket (Bradley Cooper), and Baby Groot (Vin Diesel) are hired by an alien race to protect a powerful set of intergalactic batteries. When Rocket ironically steals the the batteries, it sets off a chain of events that attracts the attention of the celestial being known as "Ego" (Kurt Russell) which leads young Quill not only to discover the secrets of his heritage but his possible destiny as well. "Of course I'm celestial. I was the last person Walt Disney thought of." That's not to say that the movie isn't entertaining; it’s extremely so. However, Guardians of the Galaxy: Vol. 2, by comparison, is a victim of its progenitor’s success. 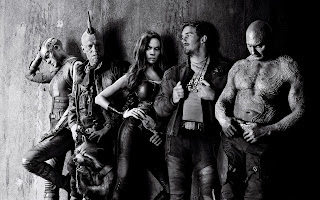 Divested of the surprise factor, James Gunn, acting as both director and screenwriter, has to rely on characterization and plot to carry the film. While Vol 2 excels in the former, it’s stilted in the latter. The majority of the plotting issues stem from the fact that the Guardians films are ensemble pieces, with "Big Names" attached to each character. As such, each character is given a spotlight, which means more scenes and extra run time. There’s definitely a sense that Marvel was paying attention concerning what worked in the previous film because the principal of remixed "escalation" is all over Vol. 2. In some cases, they work. In others, they lead to situations that go on longer than they should; which makes for a film, who’s run time is two-and-a-quarter hours, seem longer than it is (mostly in scenes involving Baby Groot, who is surprisingly NOT the breakout character in this film. More below). For instance, Drax should change his sobriquet from “the Destroyer” to “the Comedian”. Whereas his humor previously evolved naturally from a character trait, here it comes across as forced, with mixed results. Some of these issues could be resolved with tighter editing, but it leaves one to wonder what was left on the cutting room floor, given that what remained is still creative. Another issue is that, in trying to balance the showcasing of characters as fairly as possible, the “B” plots are far more interesting than the “A”. That’s not to say that the main plot isn’t interesting; it’s to say that the peripheral story lines are more so. This development has more to do with the engaging performances by Michael Rooker as “Yondu” and Karen Gillan as “Nebula”, whose personal journeys are the most compellingly developed. While Pratt, Saldana, Batista, Cooper, and Diesel are all top notch in their own efforts, it’s Rooker’s that’s the breakout performance here, and the film is all the better for it. Returning to the Disney fold as the planetary Celestial “Ego”, Kurt Russell is an energetically engaging enigma. Pom Kelmentieff’s “Mantis” serves as a good foil Drax, in some ways reflective of the character as we first encountered him. Elizabeth Debicki’s courting typecasting with yet another cold-as-ice character, but her “Ayesha” is an arresting sight; an Oscar statuette come to fetching, angular life. In essence, Guardians of the Galaxy: Vol 2, may fall somewhat short of its predecessor, but it's still a high mark for the Marvel Studios film library. It's thrilling, engaging, and surprisingly heartfelt. Take a magic carpet ride to another galaxy far, far away. You'll be glad you did. 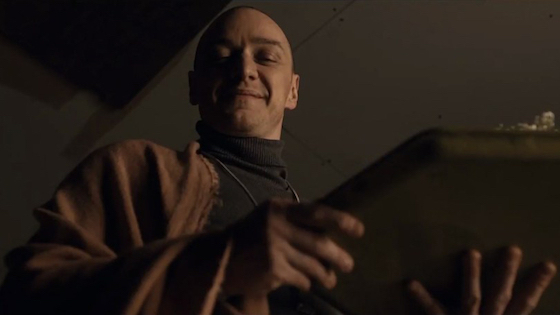 LOVE IT OR HATE IT: "Split" is M. Night Shyamalan's Best Film In Years. "'Trauma' is 'Drama'" It's a statement I just made up (as far as I know, and apologies in advance to anyone who may have coined it first), but it also seems to be an edict that filmmaker M. Night Shyamalan relies upon, as his filmography attests. But never has this mantra been more evident than in his latest thriller Split, written and directed by Shyamalan, and starring James McAvoy (The X-Men reboot films, The Conspirator (2010)), Anya Taylor-Joy (The Witch (2015)) and stage-and-screen veteran Betty Buckley (Carrie (1976)), The Happening (2008)). In this film, Taylor-Joy plays “Casey”, a teen aged loner who, through an unfortunate twist of fate, is kidnapped alongside intended victims Claire Benoit (Haley Lu Richardson. The Edge of Seventeen (2016)) and her BFF Marcia (Jessica Sula, Honeytrap (2014)) by Kevin (McAvoy), a man who suffers from Dissociative Identity Disorder (“DID”) and possessed of (or is that “by”?) twenty-three different and distinct personalities. It’s a race against time for Casey to outwit her captor(s) and free herself and her friends before Kevin’s nascent twenty-fourth personality is unleashed. Shyamalan has been a controversial and divisive cinematic auteur. Reception to his films has run the gamut from acclaim (The Sixth Sense (1999), Unbreakable (2000)) to ridicule (The Last Airbender (2010), After Earth (2013)). The low budget Split is perhaps his most challenging work. Trauma propels this film and examines its existence or lack can affect not only a person but the world around them, with one of its main considerations being the polarity of deep feeling versus disaffected superficiality; a theme that speaks to the polarizing nature to the film as a whole. It’s layered both thematically and in execution, demanding total immersive attention from the viewer. For anyone looking to be entertained and suspend thinking for almost two hours, this is not the film for you. Even scenes that seem innocuous and throwaway either add insight to the proceedings or ratchets up the tension. However, unlike most of his films post-Unbreakable, none of this layering feels gratuitous or self-indulgent. Everything is measured (at least until the climax) and effectively makes its point without belaboring it. Unfortunately, one of the film’s other difficulties stems from its very nature as a character-driven thriller; one wherein one of the actors is playing 24 different personalities. This leads to a lack of character focus in the beginning which is incongruously both asset and detriment to the film. No stranger to playing a character with a multiple personality disorder (see Filth (2013)), McAvoy ups the proverbial ante by playing a multitude of characters and doing so convincingly. His performance is subversively arresting, exhibiting fully realized personalities while at the same time exhibiting a sense of not quite being all there. Betty Buckley’s plays Kevin’s psychiatrist, Dr. Karen Fletcher, whose almost-maternal patient relationship is at odds with her need to validate her unconventional treatment regarding his psychosis. As the primary damsel-in-distress, young Taylor-Joy is as mesmerizing as McAvoy, but for different reasons. She evinces a strength, maturity, and vulnerability that belies her age, yet still appropriate for her character. It’s layered performance both aesthetically and viscerally. Haley Lu Richardson and Jessica Sula’s supporting yet strong performances also bolster the proceedings. Personally speaking, there is not one performance that rings false, nor is there a moment that feels extraneous. Oddly enough, the film is disturbing in a clinical fashion while it also cleverly subverts the conventions of the horror/thriller genre. Given the nature of the story and the main players, one would naturally expect the occurrence of creepy and repulsive themes of regarding older men and scantily-clad teens. Credit Shyamalan's direction wherein the creepy “ick” factor comes without titillation factor whatsoever. On the contrary, the first two-thirds of the film are positively antiseptic, where whatever horror is gleaned there comes from implication…provided the viewer is paying attention. Arguably, the only true moment of intimacy occurs in what is perhaps the movie’s most tragic and horrific scene; a scene made more effective because of that aforementioned layering, and perhaps one of the best scenes this director has ever executed. Yet still, the film, as a whole, is uncomfortable, eliciting conflicting yet wholly appropriate emotions, with moments of comedy and horror taking place simultaneously. The (almost) totally original score by newcomer West Dylan Thordson is minimalist yet effective, blending into the proceedings and intensifying each scene without distractingly calling attention to itself. The cinematography by Michael Gioulakis is full of mood and imagery that draws one in and heightens the film's enveloping, oppressive, and terrifying atmosphere. Of course, there’s that narrative hallmark that’s served to be both Shyalaman’s trademark and bane: the twist ending. All that will be said about it here as that it will either hit or miss…depending upon your familiarity with Shyamalan and his work. Needless to say, it will make you see the film in a completely different light. What few flaws the film has does not negate the fact that this is the best film that Shyalaman has made in years. It’s a film that merits repeated watching as it is so densely, meticulously rich and sublime in its presentation and dialogue. In fact, it is arguably too dense, for it requires that the viewer's attention from the first second to the last. It also requires a major suspension of disbelief, but the story carries it to acceptability and the payoff is worth it. It’s a thinking person’s thriller, one that will leave the viewer both repulsed and excited. Love it or hate it, Split will stay with you.